This session will focus on strategies for working with an executive search firm but also will include information on building your career “Tool Box” and writing résumés. It will also feature information on creating a personal image and conclude with tips for acing the all important interview. Co1ette M. Murray is President & CEO of Paschal•Murray, a specialized executive search firm with corporate offices near Palm Springs, California, a business office in Raleigh, North Carolina and satellite offices and clients throughout the United States. Ms. Murray has over thirty years experience in senior level advancement at major education and health institutions throughout the country. From 1995 to 1998 she was Chief Executive Officer of the Sharp HealthCare Foundation in San Diego and for five years prior to that she was Corporate Vice President for Philanthropy and Community Development at Henry Ford Health System in Detroit, Michigan. Ms. Murray is a native California and a graduate of the University of California Berkeley. She earned a law degree from the University of San Francisco and was in private practice in the San Francisco Bay area before being appointed the first legal counsel for UC Berkeley. Her career in institutional advancement began with appointment as Executive Director of the California Alumni Association and then at UC Santa Cruz where she was Assistant Chancellor for University Relations. In 1985 she accepted the position of Vice President for Development and Alumni Affairs at the University of Louisville, and in 1988 she was named Vice President for Development and University Relations for Texas Tech University. At both of those institutions, and at Henry Ford, she headed capital campaigns. She is a Past Chair of the Association of Fundraising Professionals and is Past-President of the San Diego Downtown Breakfast Rotary Club and the Executive Women’s Council of the University Club. 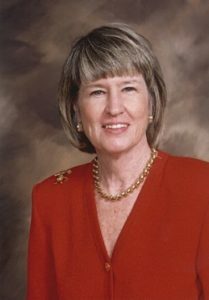 She is also a past chair of the CASE board of trustees and served for a number of years on the board of the Association of Healthcare Philanthropy. In addition she is a past president of the Leadership American Association, the Greater Detroit Chapter of AFP and the San Diego Chapter of AFP. In 1984 she received the Father Hesburgh Award, a national honor presented by the Council for the Advance and Support of Education (CASE), for outstanding volunteer board service. She is also a recipient of the Rosalie M. Stern award from the University of California and in1997 she received the San Diego Business Journal’s Women Who Mean Business Award in the health care category and in 2000 in the consulting category. She is also a past chair of the CASE board of trustees and served for a number of years on the board of the Association of Healthcare Philanthropy. She is listed in Who’s Who in America, Who’s Who of American Women, the World Who’s Who of Women and Who’s Who Worldwide. She is married to Richard Murray who is the-coowner, with her, of Paschal•Murray. They have a daughter, Thea Kano, a musician and conductor performing in Washington DC, New York City and Paris.